Feng Shui today has many followers and fans all over the world even though it originally had been used by Chinese several centuries ago. Though initially people had been skeptical about it, today they quite readily accept this concept, even in the world of gambling. There are several factors aboutlucky Feng Shui which are analyzed and people believe that it can help bring luck to gamblers too. Originally, Feng Shui had only been considered to be helpful just for everyday life and especially for creating balanced homes. However, with time the principles of Feng Shui have also been adopted and used even in gambling. Several studies have been done on the subject till now and though it cannot really be proved, players do believe that using Feng Shui will definitely help them increase their chances of winning at the game. Several players apply Feng Shui principles and guideline and will immediately see the results which will automatically affirm their belief, while others will probably not see results for very long or not see results at all. Whether Feng Shui can actually change a player's luck or not is quite debatable. However, it is very widely practiced these days and players do believe that it works for them though it cannot be said how long it would take for them to see the results. Feng Shui is actually not a superstition or even a religion but a theory on its own and there are several tips which are mentioned in Feng Shui regarding changing the luck. The first type of luck is Tien which is heaven luck. Tien is a level of luck which nobody can change. The place and time of your birth and the family you were born into cannot be changed by anyone though they influence at you greatly. Similarly the circumstances during the early life also cannot be changed. According to Feng Shui, these details play a big role in determining the level of luck in life for a person. Ti si is the second type of luck and it is Earth Luck. Earth luck is a level which can be strengthened with the help of Feng Shui. 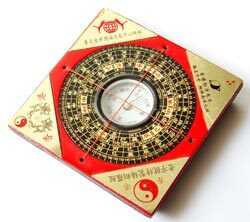 With the principles of Feng Shui auspicious energies can be attracted in to the life of a person if practiced properly. By using Feng Shui to change and work with the immediate environment, a person can change their luck considerably. They can bring in good luck and prevent bad luck too. Ren is the third type of luck and it is Mankind luck. This type of luck can be made by the person on his/her own by learning new things, working hard, meeting the right type of people, exploring new ideas etc. it is the luck which a player can create on his/her own if they focus and make smart decisions.